No one's child should sleep outside. Yet in our community, hundreds of families - moms, dads, and children - are outside, in cars and tents. 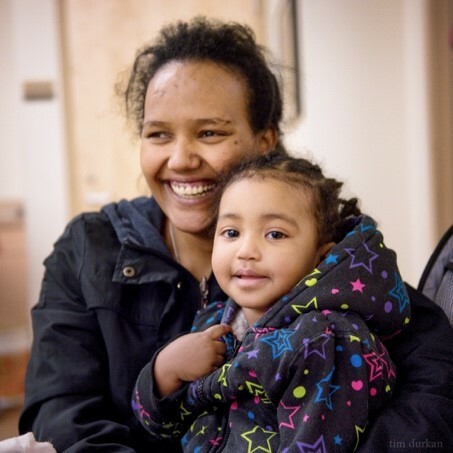 Your donation to Mary's Place helps us bring families inside, together, to safety and a warm bed each night, and resources for housing, employment, and financial stability each day. Last year, we helped over 300 families find their forever homes! Our Diversion Teams are reaching out to families who are outside, unsheltered and offering resources to move them quickly into permanent housing. Our Stability Teams are working with families who are newly placed in housing to connect them to community resources and ensure their success. You can help ensure that our in our community, children are not sleeping outside by making a gift today. *CVV Number: What is this? Your tax deductible donation to Mary's Place helps us build a community where all families have safety, stability, and housing! Mary’s Place is a 501(c)(3) nonprofit organization; tax ID# 27-2087950. Please contact us at giving@marysplaceseattle.org with any questions.